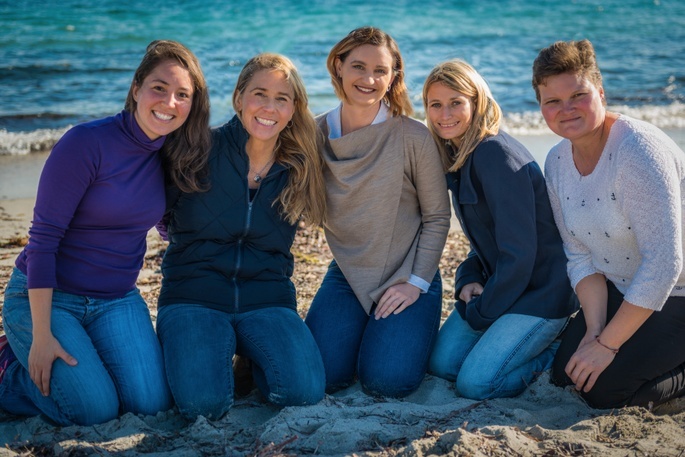 "We are a team of five women in Western Australia, among 80 participants worldwide, selected to take part in Homeward Bound 2018. This intensive 12-month leadership program for women in science culminates in a voyage to Antarctica in February 2018. Why did we apply to Homeward Bound? Each of us has a strong desire to strengthen our leadership voice and to influence policy as it affects the future of our planet. One of the appeals of Homeward Bound program is that it focuses on higher-level leadership skills, including visibility, strategic capability, and policy and decision-making. And, of course, Antarctica is definitely a drawcard. We're thrilled to have a chance to experience the world's southern-most continent, not as tourists, but as a committed band of women in science with a shared vision to have a greater impact promoting gender equity and sustainability action. We first met soon after we were accepted into the program — brought together by the intrepid group of Perth women who were part of the inaugural 2016 Homeward Bound voyage. Because the program requires a significant financial investment, the five of us teamed up to embark on a collaborative fundraising campaign. From the two-minute video we each produced as part of our application to dining with the Minister of Science and other MPs at Parliament House, our Homeward Bound experience has pushed us to step beyond our comfort zone. In the words of Tara Mohr, author of one of our required readings, "When women play big, we make things happen." Our Team WA Homeward Bound 2018 has served as a microcosm for the triumphs and challenges that arise when working collaboratively. While we all have a background in science, each of us has a very different working style and brings different life experiences to the team. We’ve had to learn how to manage expectations, listen, speak up and let our individual voices be heard. We've also had to learn how to effectively reach consensus and negotiate in the decision-making process. These skills are helpful for anyone, but especially for women as we search for new collaborative models of leadership. We're supporting each other in our search to find our voice and our inner compass as we set off on the journey of a lifetime."